Many gamblers have walked into a noisy casino at some point in their life looking to play a favored card game called Blackjack. Even those who have never stepped foot into a casino have often heard of this game. 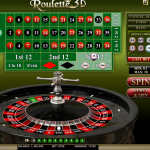 It is one of the easiest and most popular gambling card games in existence. That being said, there are ways to play it other than just going to a local casino (if there even is a local one!). The game is now available via the Internet at any time of the day or not. Simply log on and start getting the cards in the air. 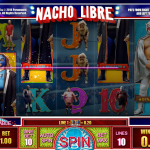 The first thing you will notice is just how similar the online version is to what one would find in an actual casino. There is a blackjack table set up with the little squares where one can place their bets and start enjoying the action. Another great feature of the game on the Isoftbet version is the peaceful music that plays in the background while you are playing. Of course, you as the player retain the option to turn the music off or to simply mute the speakers on your computer, but it is a rather soothing melody, not unlike something you might hear while riding an elevator. There are also some sounds of people milling about like one might hear on a casino floor. However, the sounds of those people are gentle and not overwhelming or annoying like what one might experience in an actual casino. To the left of the player are the chip amounts that they may select from when placing bets. They come in various amounts from $0.10 all the way up to $10. This gives players the flexibility to select the bet size that they feel most comfortable with. Of course, players may also select to put down more than one of any particular type of chip. If they do so, they should understand that the maximum bet per hand is $10, but they may play up to 3 hands at a time. In other words, they may wager up to $30 per round. The cards come out instantly, and the player is given all of the options that he or she normally would in terms of standing, hitting, splitting (when applicable), or doubling down. After all of the decisions are made, the house reveals their hand instantly, and the winnings or loses are accounted for. This is certainly a fast action way to play the game, but that is also exactly what a lot of people are looking for. They don’t want to wait around forever to find out the results of their action. For those who do not necessarily have a large bankroll, or perhaps just those who do not want to put too much at risk, it is possible to play the game with a simulated bankroll to try it out. This means that there is no risk involved, but that the player may still learn how the mechanics of it all works. That can be a great way for certain players to ease their way into playing the game and feeling a little more comfortable with it. That is certainly an option for those who choose it. Overall, this is not a bad way to spend an afternoon or evening. 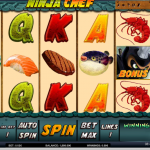 Enjoy the soothing music and your favorite gambling game all from the comfort of your own home.